Nearly 80% of the energy in the average home is used for space heating (61%) and hot water (18%)1United Kingdom housing energy fact file, Department of Energy and Climate Change www.energysavingtrust.org.uk/In-your-home/Heating-and-hot-water/Tanks-pipes-and-radiators. Together, all of your lighting, electrical appliances, cooking, etc use only 21%. So it’s worth thinking about improving the efficiency of your heating and hot water system. aqueco can help you to save energy, reduce your CO2 emissions and cut your bills. Thermostatic radiator valves (TRVs) allow you to control the temperature in individual rooms, preventing overheating and reducing energy use. Modern heating controls allow you to tailor the time and temperature settings of your heating and hot water systems much more accurately. With some systems, such as Honeywell’s Evohome, you can adjust time and temperature settings for individual rooms and even control the heating remotely from your phone or tablet. Weather compensation controls enable the boiler to work at its optimum efficiency by automatically varying its operating temperature according to temperatures inside and outside the house. These simple controls can save 15% on your heating bill2www.viessmann.co.uk/en/industry_commerce/products/system/weather-compensation.html. According to the Carbon Trust, they typically pay for themselves within a couple of years3www.carbontrust.com/media/10361/ctg065_heating_control.pdf. 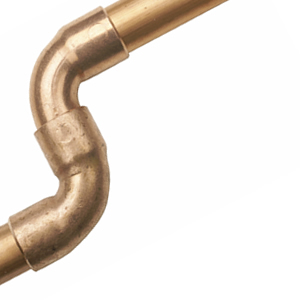 Insulating pipework and hot water cylinders significantly reduces heat loss. Many hot water cylinders have no insulation and those that do are usually substandard. aqueco insulates to the highest standards, ensuring minimal heat loss. Balancing the central heating system ensures that your radiators warm up at the same rate, giving even heat across your home. It also improves the efficiency of modern condensing boilers by ensuring that heat loss from the radiators is sufficient for the boiler to operate in condensing mode. It can also reduce the energy the central heating pump uses. This is a simple job but requires experience and it is rarely done properly when new boilers are installed. Flushing the central heating system removes sludge, prolongs the life of the boiler and improves efficiency (as the pump doesn’t have to work so hard to circulate the water and clean water transfers heat better). It also reduces the likelihood of boiler breakdowns. Once the system is flushed, a central heating filter will continually remove iron oxide sludge and other debris and prevent it getting back into the boiler. Manufacturers say that this can improve the efficiency of a system by up to 6%4Independent laboratory testing undertaken by GASTEC at CRE. Energy efficient pumps. These smart pumps modulate according to the needs of the system. This varies depending on whether thermostatic radiator valves are open or closed. Manufacturers say that standard central heating pumps account for 10-15% of a home’s electricity use5documentlibrary.xylemappliedwater.com/wp-content/blogs.dir/22/files/2012/10/UK-Wholesale-brochure-Lowara-ecocirc-and-premium-lo-res.pdf and these pumps can be up to 90% more efficient6www.wilo.co.uk/home. We have installed pumps and found they use less than a fifth of the energy of the old ones. An automatic bypass valve ensures sufficient flow through the heating system for the boiler to work properly at all times. This valve only opens when required. Many systems have a manual bypass, creating a permanent short circuit in the heating system, wasting heat and compromising boiler efficiency. A new condensing gas boiler is typically 90% efficient. Some old boilers have an efficiency rating below 60%, so it’s not difficult to see how upgrading to a new condensing boiler can cut CO2 emissions and bills. Renewable energy systems such as solar thermal hot water and wood heating don’t use fossil fuels and significantly reduce carbon emissions if appropriate technology is used and properly installed. For more information about renewable energy click here.